Presented in a positive, interactive style that is rooted in the concept of building upon strengths, our sales training programs are consistently well-received by sales people of all tenure levels. The first step involves our in-depth assessment methodology, which enables customization and promotes engagement and high-levels of buy-in from sales professionals at all levels. This approach also enables our clients to enjoy a greater return on their training dollars due to more wide-spread implementation. You might consider completing our preliminary on-line assessment, which will enable us to make more comprehensive recommendations and program options. Once we have established the status-quo and the best opportunities for improvement, we are ideally-equipped to efficiently address any and all aspects of the selling process, using the framework of tried-and-true programming as a foundation and tailoring the content to best fit your people, situation and goals. 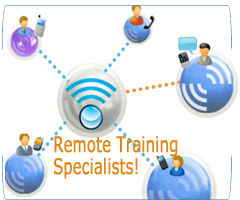 Given that many sales teams are geographically-deployed, we have developed highly-interactive and effective methods of conducing both on-site and remote training programs, which sales professionals of all types and tenure levels have rated as national best. This frequently-blended format enables clients to maintain a more effective pace of development and engagement, and enables sales team members to put learned concepts into practical use on a more immediate basis, helping to increase your ROI.